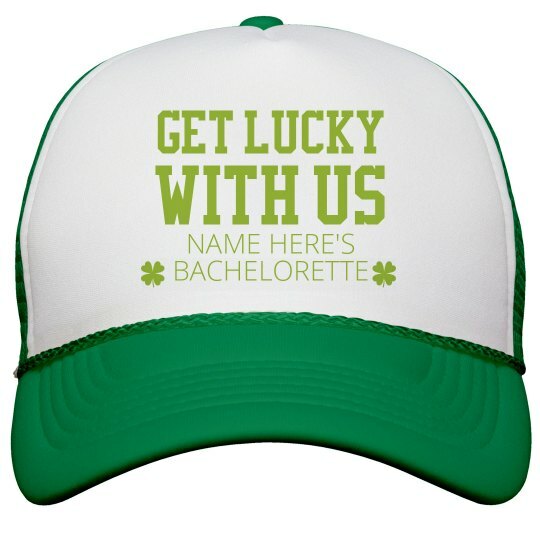 Grab a round of these trendy "Get lucky with us" hats for your bridal crew. Customize them by adding your name and making them extra personal! Celebrate St. Patrick's Day while you're at it.